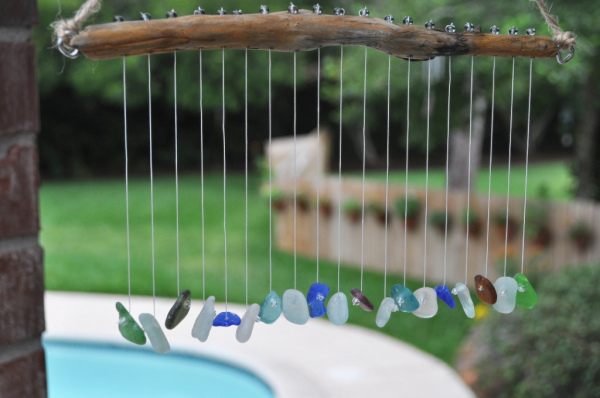 Wind chimes can add interesting and relaxing touch to your home, garden or any other outdoor area. 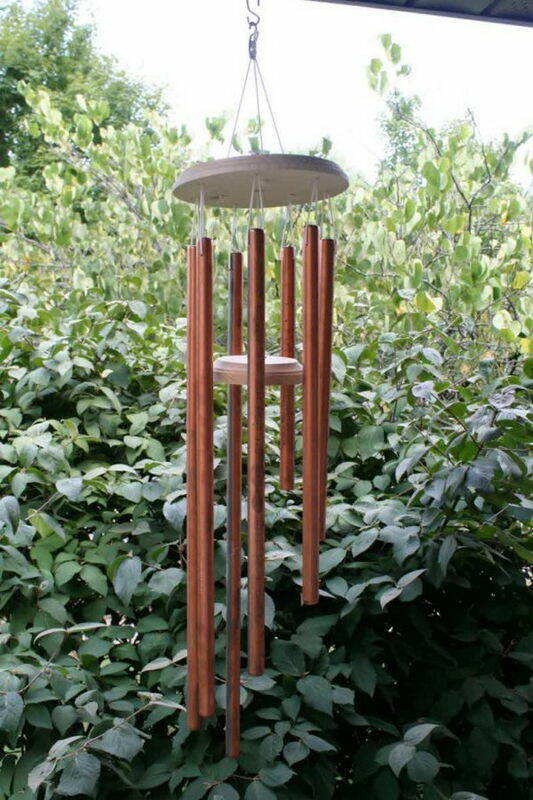 Everyone loves having a stunning wind chimes in their garden and enjoying the soothing and whimsical music. 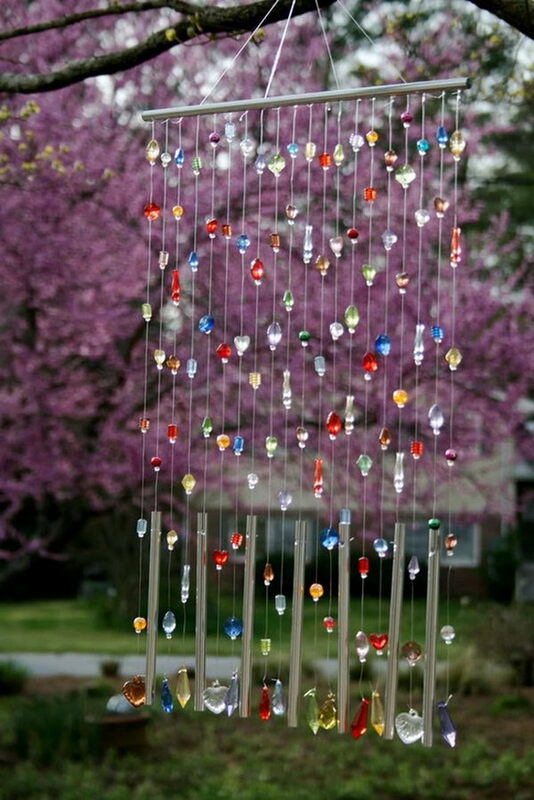 Especially this time, when the weather outside has been absolutely beautiful and cool here, we’ve been spending lots of time outside and sit on our front porch swing and enjoy the warm gentle breeze and the whimsical music with family members and friends during these cool evenings. 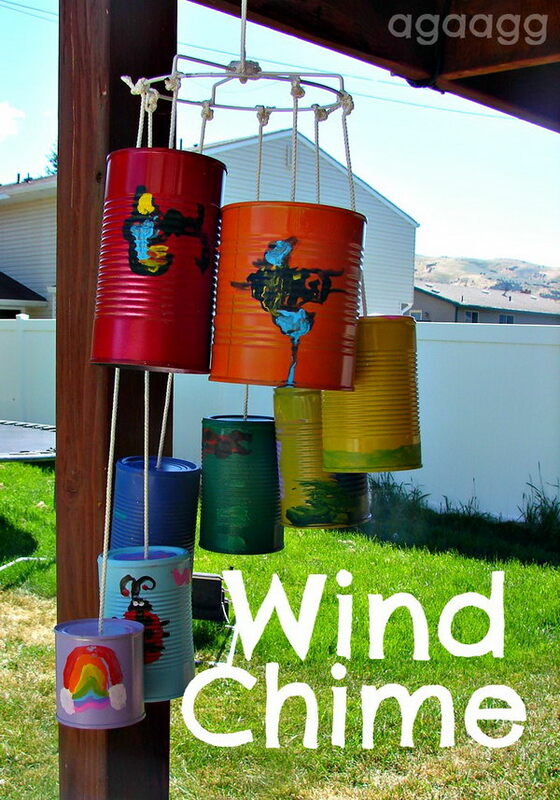 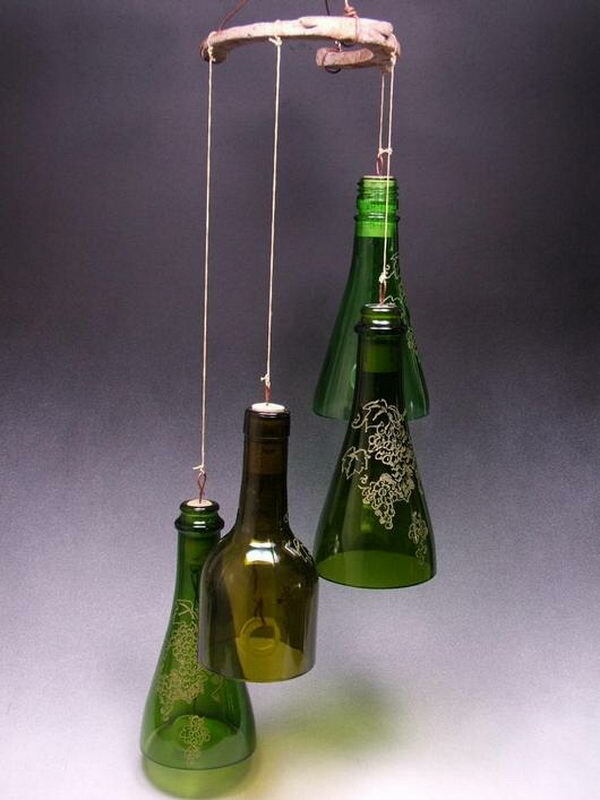 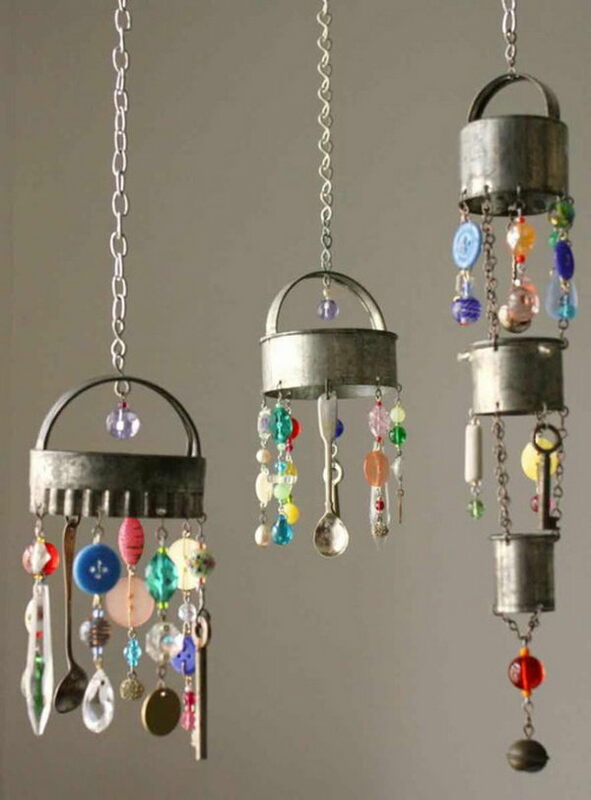 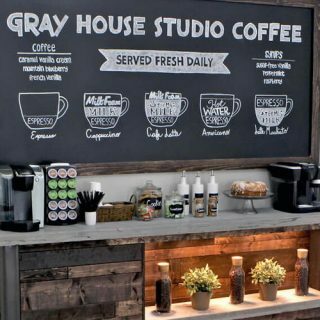 You can buy a beautiful wind chime at any garden or home store, or you can be crafty enough and make your own using a variety of recycled materials that may ordinarily be thrown into the recycling bins. 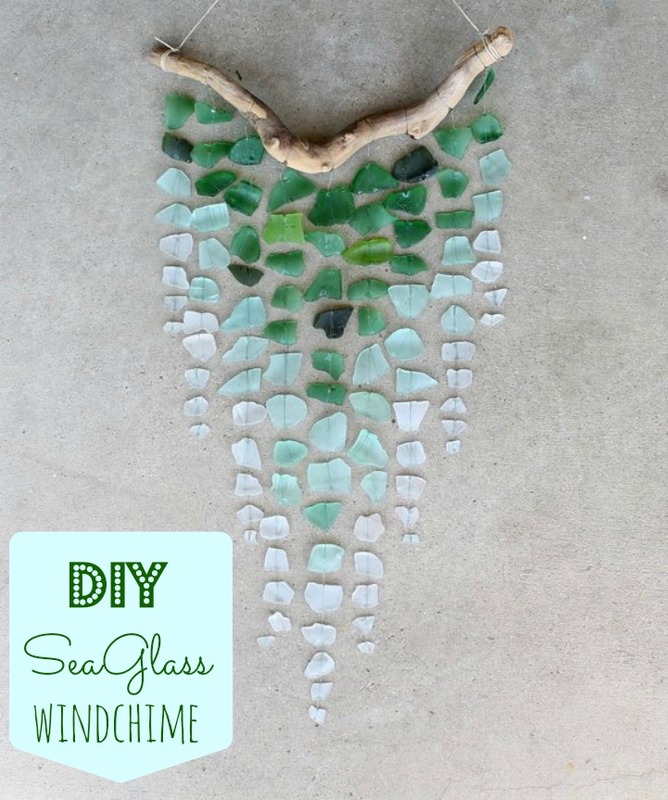 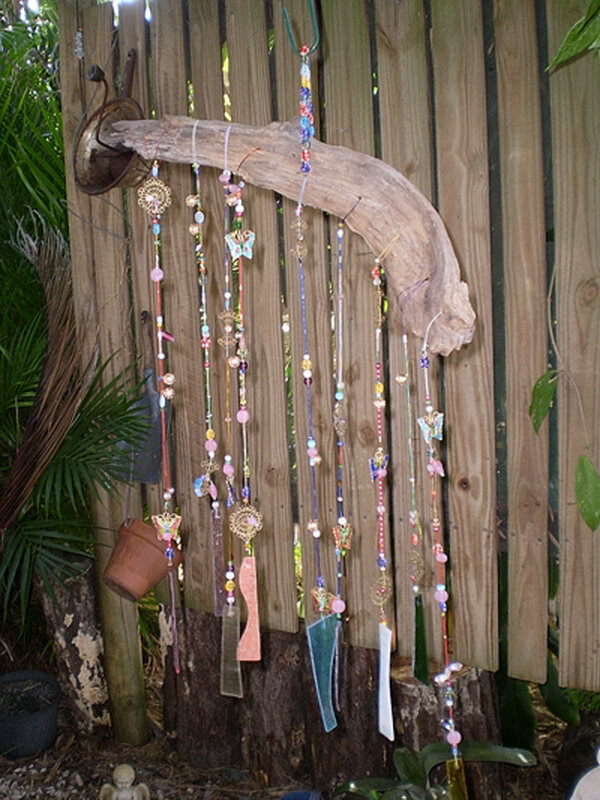 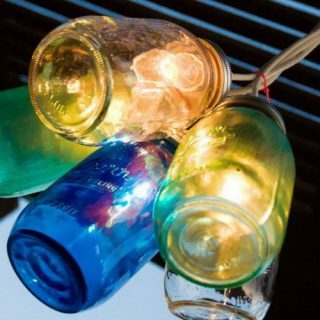 Colored glass bottles, bamboo, seashells, beads, recycled silverware, driftwood and more are all wonderful and inexpensive materials for a homemade wind chime. 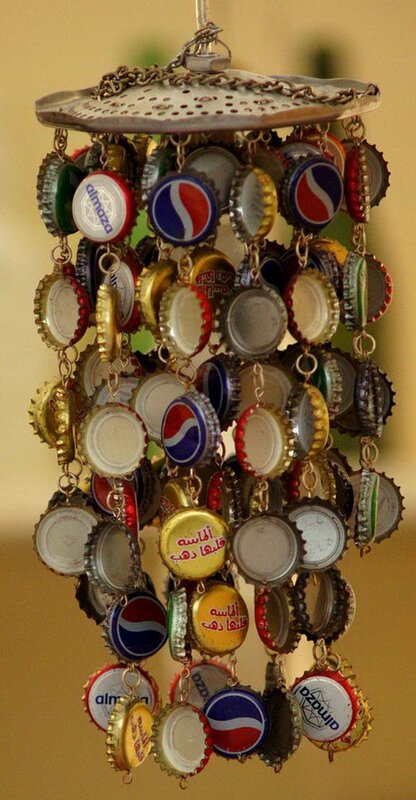 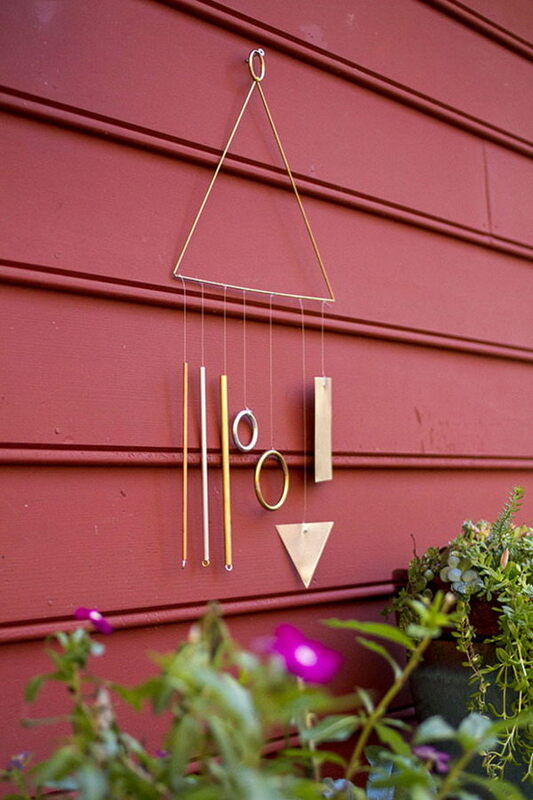 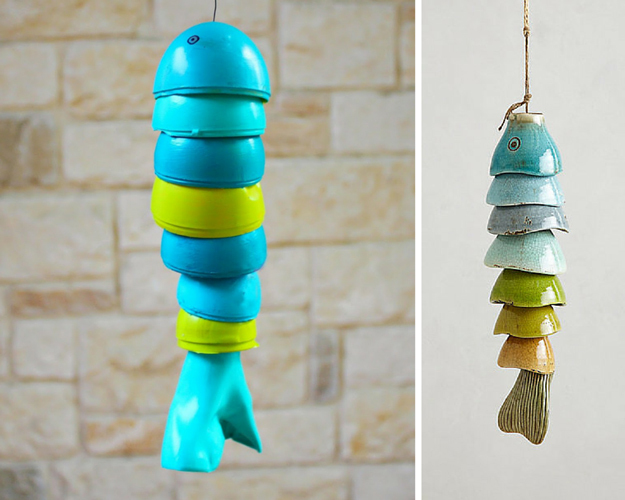 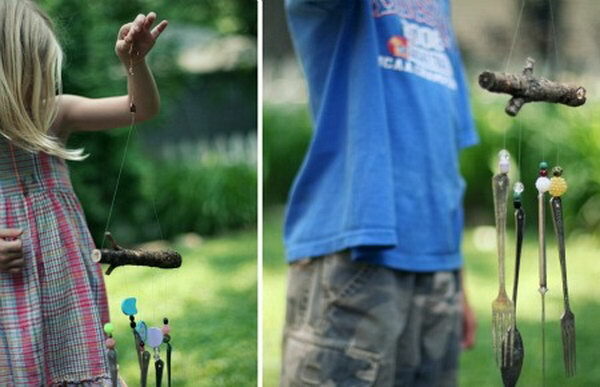 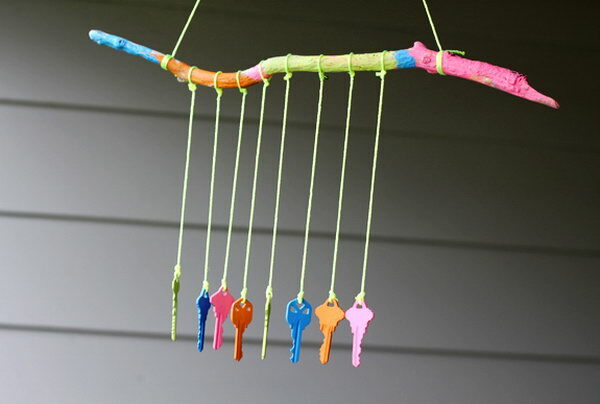 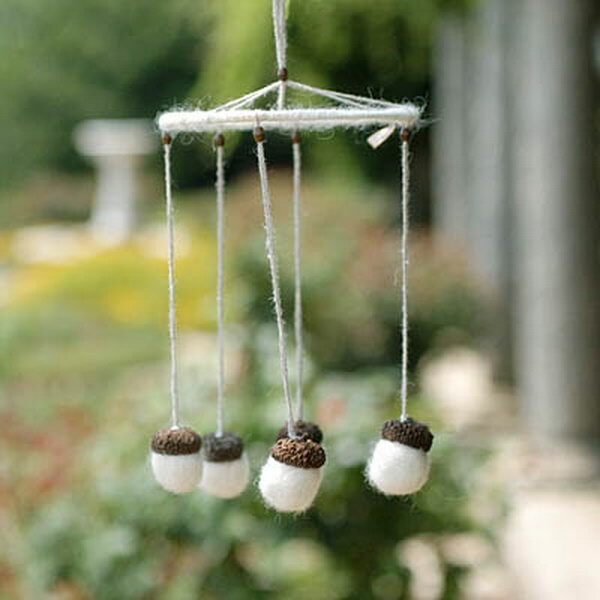 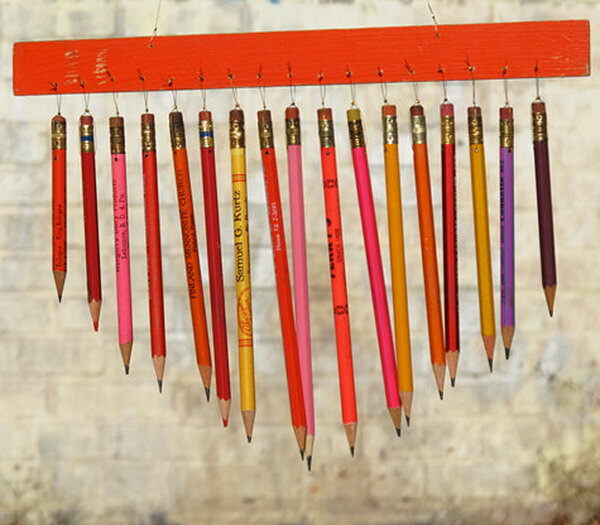 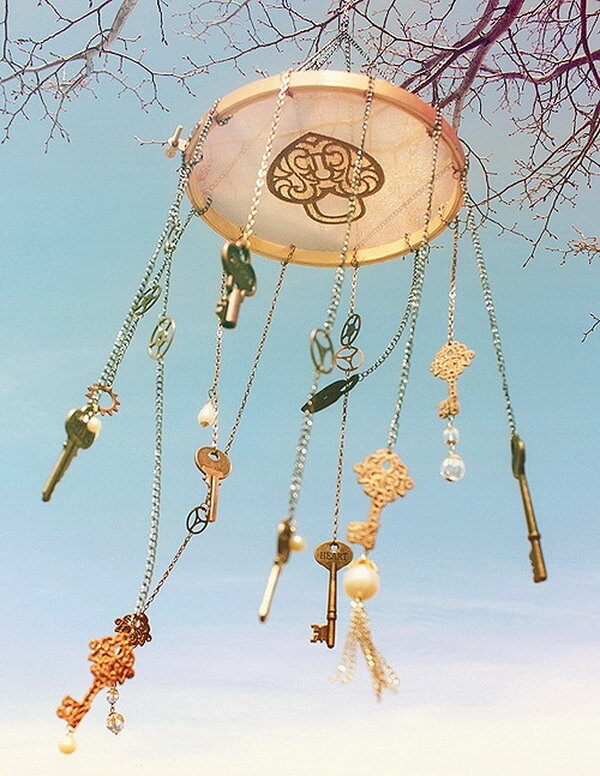 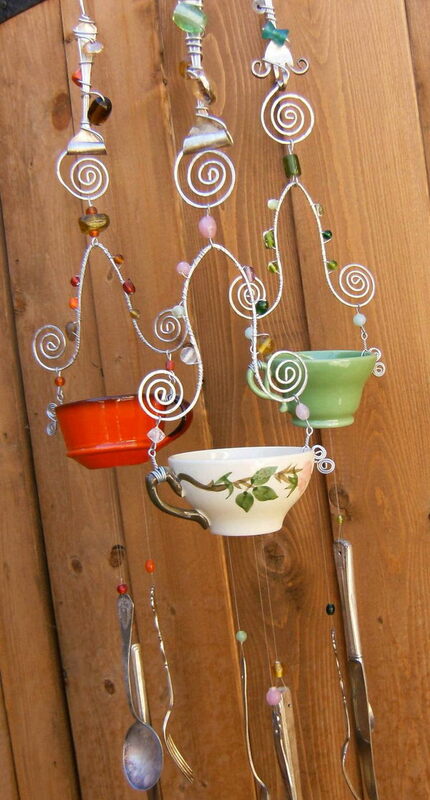 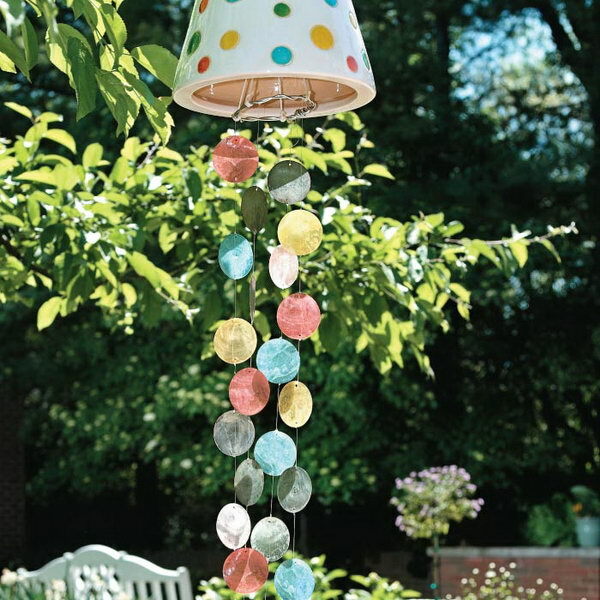 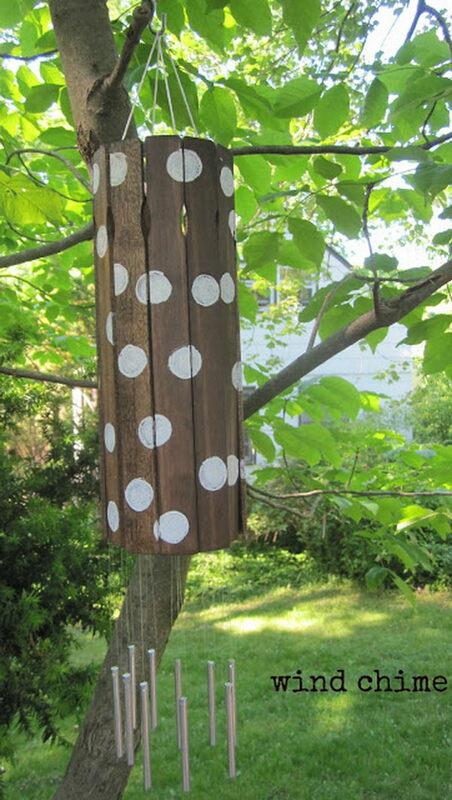 Here are a lot of DIY wind chime ideas for your inspiration. 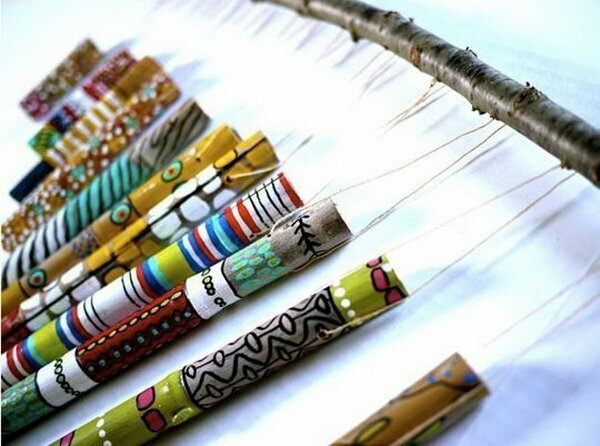 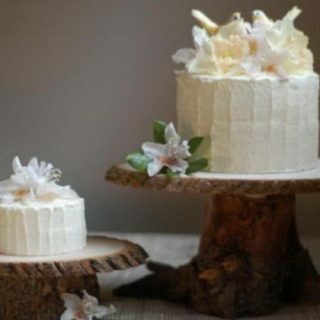 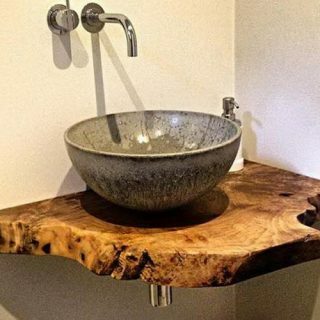 Take a look at these creative collections and pick your materials and start crafting your favorite one. 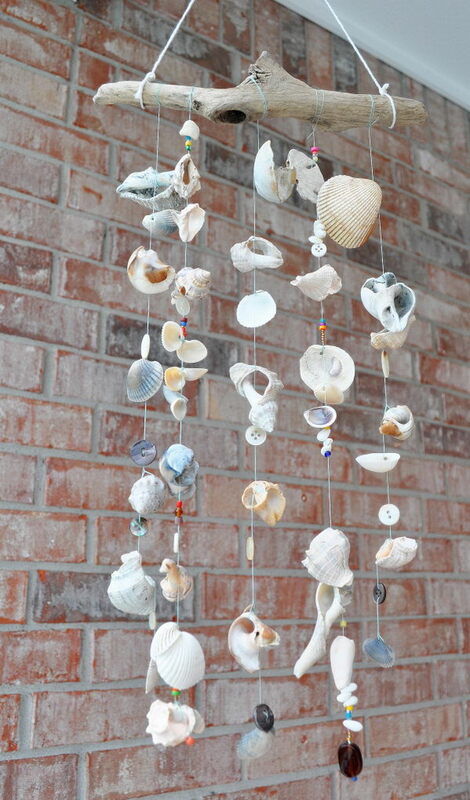 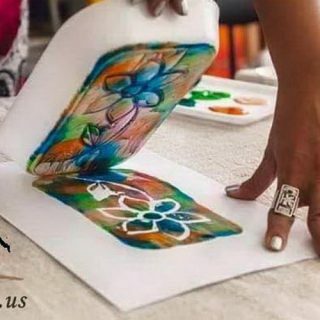 Create your ocean art and masterpiece with the step-by-step tutorial from Our Boat House. 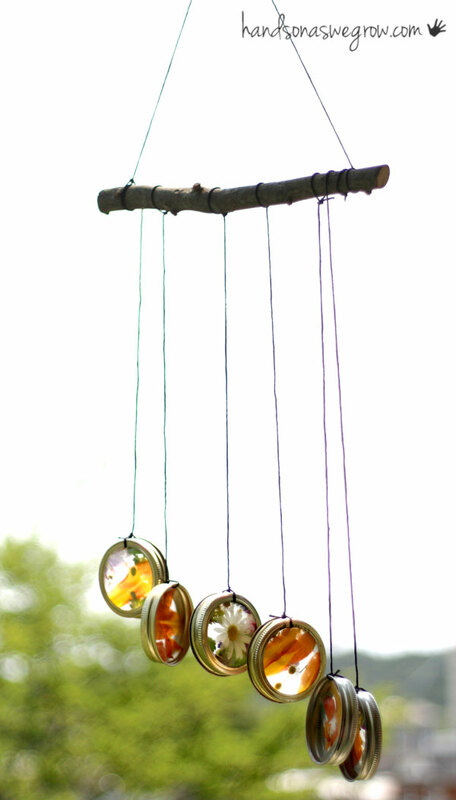 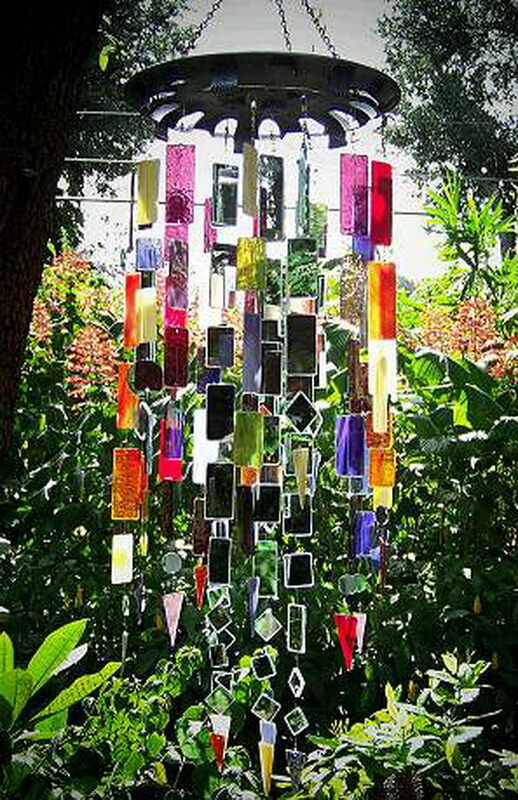 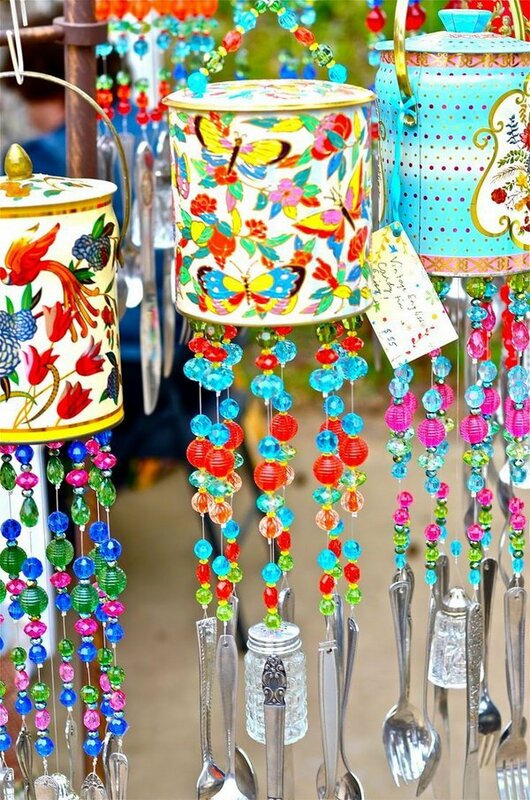 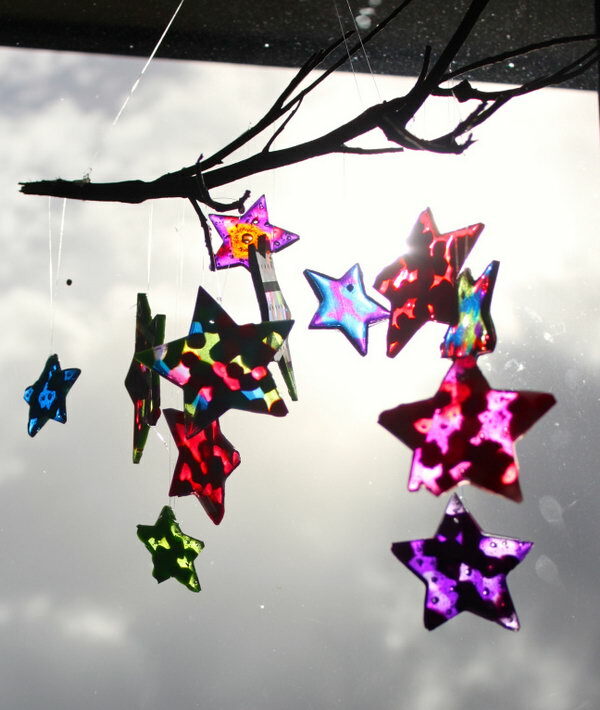 These are stunning and gorgeous suncatcher wind chimes that can get your kids involved in. 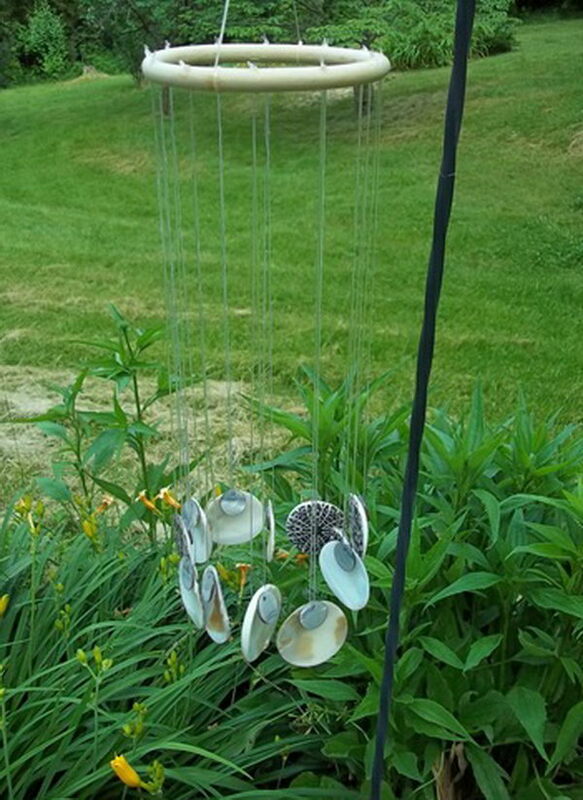 Made with mason jar lid rings and pressed flowers. 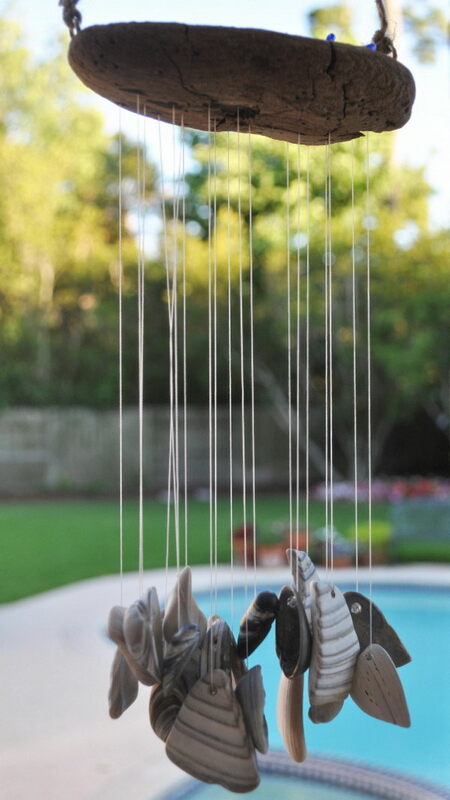 Learn how to make it here. 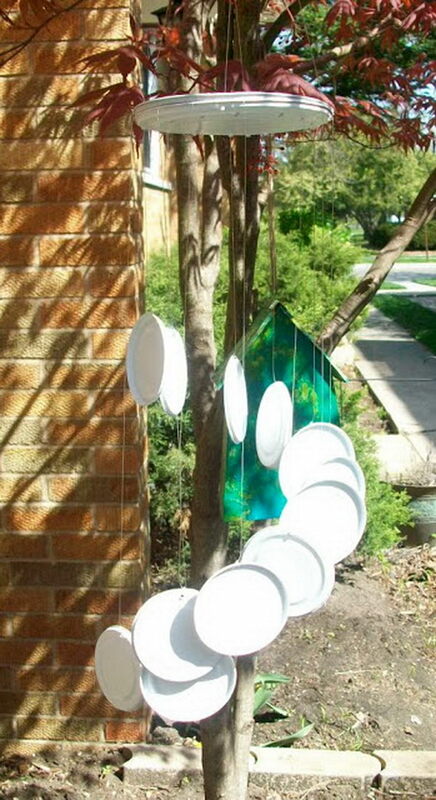 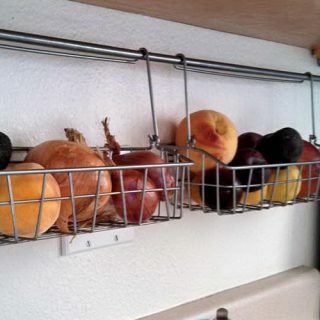 Looking for a way to repurpose plastic eggs from your last Easter Day? 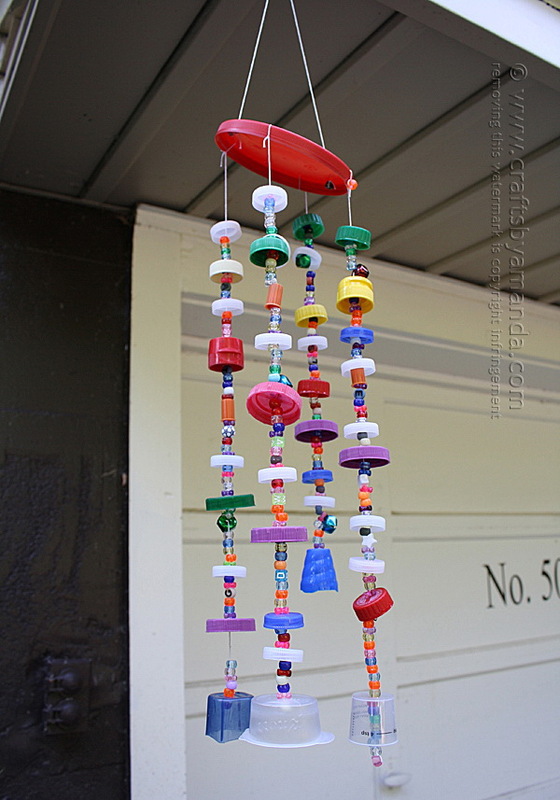 Making a wind chime out of plastic eggs is a great idea. 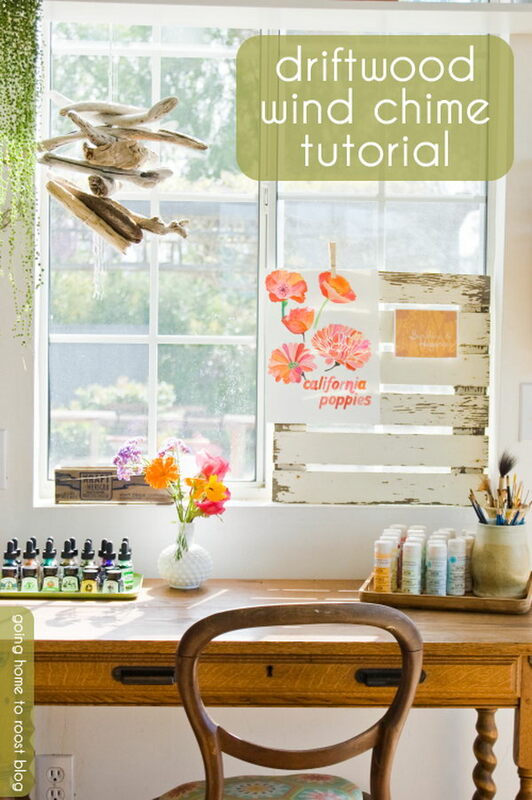 Get the steps here. 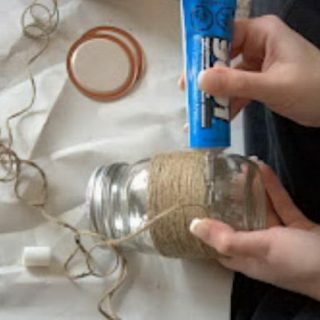 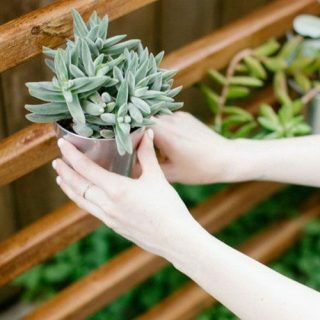 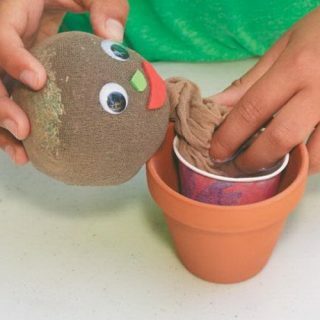 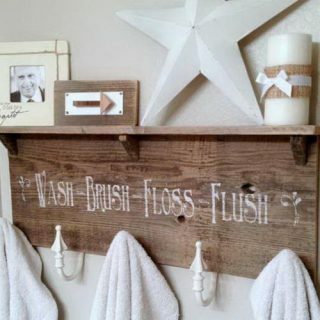 Want to be extra crafty? 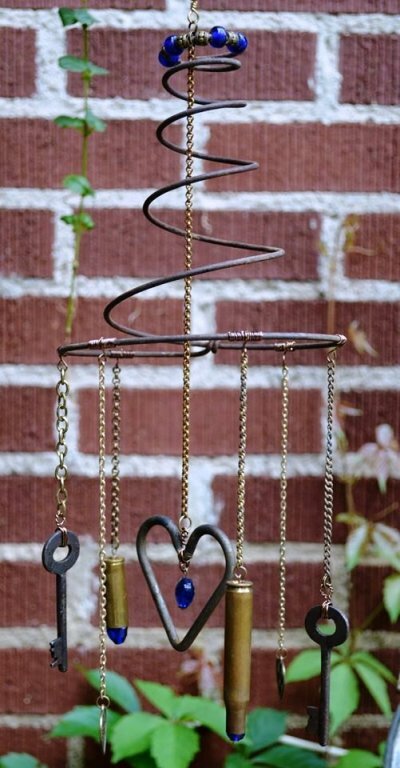 Try to make this heart and key wind chime for your garden this weekend. 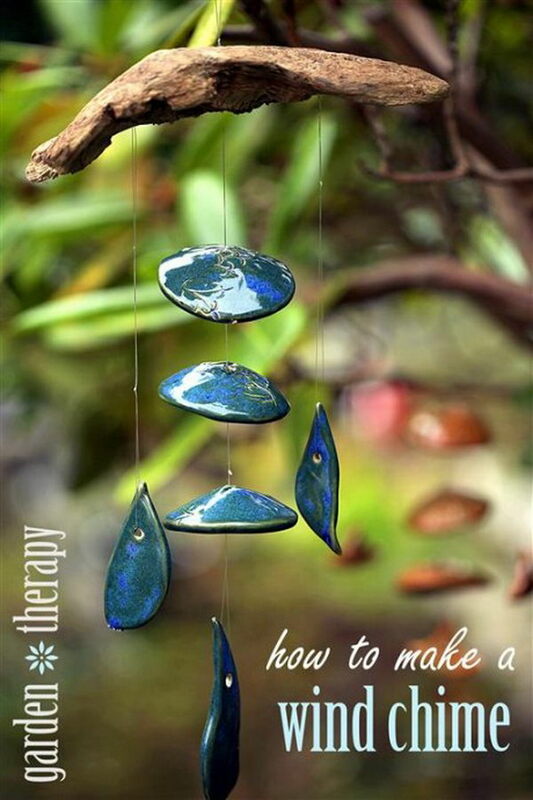 See the instructions here. 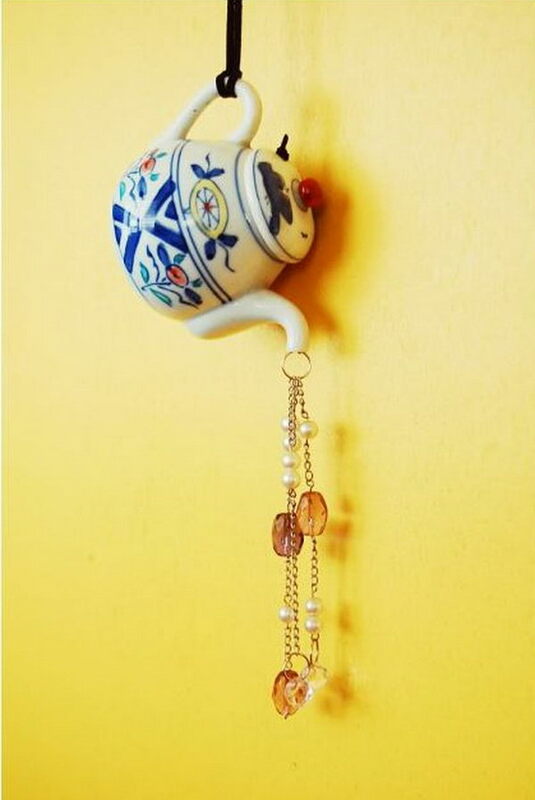 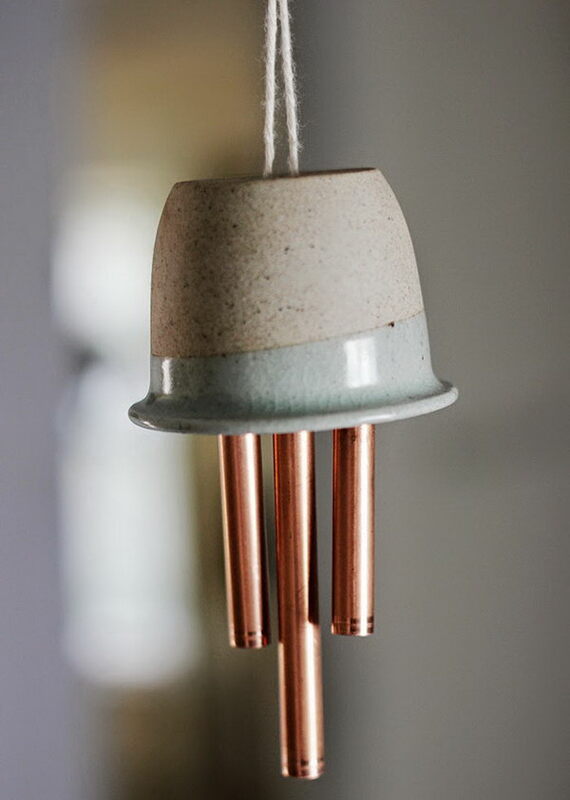 My wife has bee looking at some ideas for some decorations for our garden, and I think the clay flower pot wind chimes will be a great project for her and the kids. 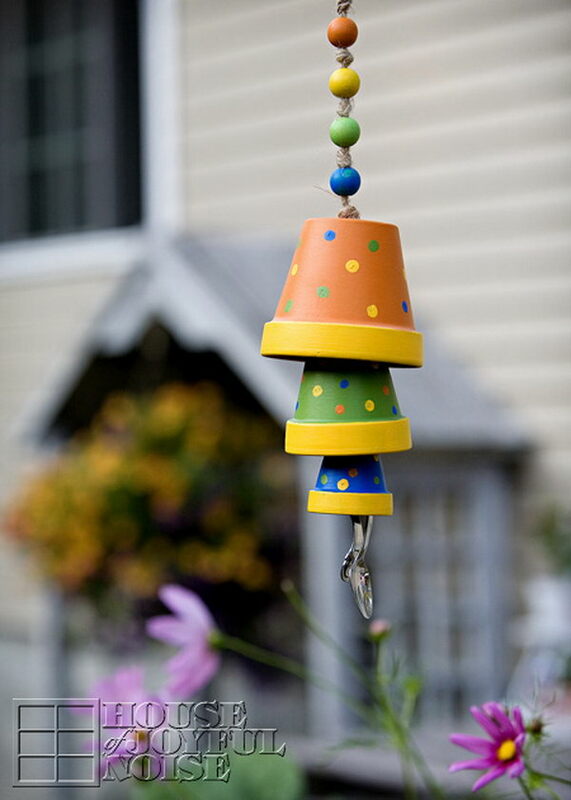 The backyard looks quite barren in the winter, and I think adding some color and to them will bring everyone’s spirits up. 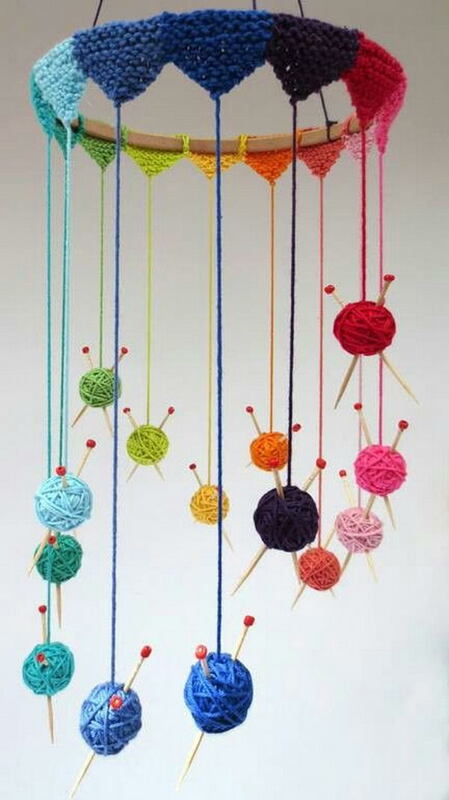 I wonder sometimes if it wight not be better just to buy them, but I guess it’s just me being a man.